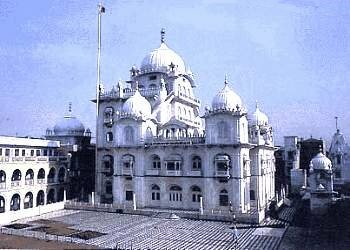 Takht Patna Sahib enjoys the privilege of being the birthplace of the Tenth Guru Sri Guru Gobind Singh Ji. He was born here on December 22, 1666. There stands, at the sacred place a magnificent holy shrine, called Takht Sri Harmandir Sahib. It is situated in one of the old quarters of Patna city, once known as Kucha Farrukh Khan, now known as Harmandir Gali. This sacred place has the honour of being visited by the first Guru Sri Guru Nanak Dev ji and the ninth Guru Sri Guru Tegh Bahadur ji. It is from this place that the commandment of valiance and fearlessness was issued to the Sikh fraternity. The ninth Guru waxed eloquent about this to justify ways of God to men. "This is why I was born and set Patna Sahib as my place of work". This very line indicates that Sri Guru Gobind Singh Ji was born at this sacred place. After bidding an adieu to his promising childhood at Sri Patna Sahib, Guru Sahib stepped into the holy land of Sri Anandpur Sahib. Gurudwara Patna Sahib is regarded as the centre for propagating Sikhism in the east. As history would have it, Takht Sri Patna Sahib is the second accepted and acknowledged Takht of the Sikhs. It was 'Sher-e-Punjab' Maharaja Ranjit Singh who, first of all, undertook the task of raising a monumental Sikh Temple at this place. As a result of an earthquake, the celestial edifice came to be a heap of dust. 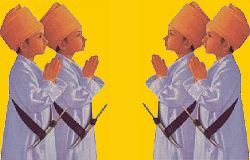 With the co-operation of the Sikh masses, the golden fabric, as it stands today, has come into its own. Some relics of the tenth Guru are also preserved in Patna Sahib. Among them is a pangura (cradle) with four stands covered with Golden plates. Guruji during his childhood used to sleep in this cradle. Moreover, four iron arrows, sacred sword of the Master and a pair of his sandals are also preserved. Hukamnamas of Guru Gobind Singh and Guru Tegh Bahadur contained in a book are also kept in this holy Gurudwara. Day 1. Morning Flight for Patna from New Delhi. Reach Patna, Pickup from Airport and drop at Hotel. Afternoon visit Takhat Shri Harmandir Sahib. Overnight at hotel. Day 2. Breakfast, Tour of Local Gurudwaras of Patna - Gurudwara Guru ka Bagh, Gurudwara Ghai Ghat, Gurudwara Gobind Ghat and Gurudwara Bal Lila Maini. Evening drop at Patna Airport for Flight for Delhi. Reach Delhi late evening. Write us number of people travelling and date of travel to get the cost. Day 1. Morning Flight for Patna from New Delhi. Reach Patna, Pickup from Airport and drop at Hotel. Afternoon visit Takhat Shri Harmandir Sahib. Overnight at Patna hotel. Day 2. Breakfast, Tour of Local Gurudwaras of Patna - Gurudwara Guru ka Bagh, Gurudwara Ghai Ghat, Gurudwara Gobind Ghat, Gurudwara Bal Lila Maini and Gurudwara Handi Sahib. Overnight at Patna hotel. Day 3. Breakfast, morning Tour of Patna Tourist places, Afternoon drop at Patna Airport for Flight for Delhi. Day 1. Departure from Delhi for Patna by Train, night in the train. Day 2. Reach Patna, Pickup from Patna railway station & transfer to Hotel, Afternoon darshans of Takhat Patna Sahib. Night at Patna hotel. Day 3. Breakfast, full day tour of local Gurudwaras of Patna, evening drop back at Patna Railway station for Train to Delhi, night in the train. Day 4. Reach Delhi in the morning. For 2 persons : Rs 6150 Per Person on Double sharing Room. For 4 persons : Rs 5450 Per Person on Double sharing Room. For 6 persons : Rs 5100 Per Person on Double sharing Room. - AC III Tier Train Tickets To and Fro. - AC Budget Hotel Accommodation for 1 Night. - All transfers, sightseeing by Air Conditioned Vehicle as per the itinerary. Please write to us with Flight/Train Tour option.